We are proud to announce that some of your donations from our first event funded an update of the March of Dimes web resources on Thrombophilia so that women all over the world can benefit from this information. The causation of Maternal/Fetal Clotting Disorders is a many-faceted issue. THIS IS NOT A SINGLE DISEASE WITH A SINGLE CAUSE AND A SINGLE SOLUTION. Around the country, there are many teams of researchers, specific medical studies, dedicated organizations and existing foundations that are all working to solve various parts of the problem. Much of this research is underfunded and totally “under the radar” of public awareness. Yet, almost everyone knows of families who have been touched by the tragedy of repeated miscarriage, seriously underweight newborns, stillbirth or compromised maternal health during pregnancy. Thanks to the internet, a wealth of information is now available, but much of this information is presented in highly technical scientific studies and medical journal publications which are largely indigestible by the public. Even many obstetricians, gynecologists and perinatologists lack vital information and treatment skills. 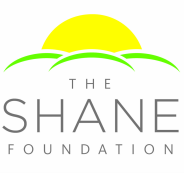 THE SHANE FOUNDATION will work with organizations whose work is already focused on one or more aspect of prevention and treatment of this group of disorders. Our donors and supporters will be proudly notified of this yearly selection and kept well abreast of the specific work and progress your funding supports. Our work at the state level led to Roberta's appointment as one of two nation-wide patient advocates on the Washington DC based ACOG Council on Patient Safety in Women's Health Care, www.safehealthcareforeverywoman.org This body, which functions on the national policy level, was convened specifically to address the rising tide of maternal mortality and morbidity in the US. The members are designated representatives from the leading national professional medical organizations in women's health care. Roberta/THE SHANE FOUNDATION holds one of the 29 voting-member seats. In August of 2017, the Council accepted the proposal of THE SHANE FOUNDATION to develop new forms of patient education to reduce maternal risk. Roberta was appointed co-chair of the group that will hopefully make The Shane Foundation patient education plan a reality for all US women, regardless of circumstance. On April 12, 2018, the California Maternal Quality Care Collaborative, www.CMQCC.org, a group from Stanford University Medical School which is funded by the California Department of Public Health, will present a webinar commemorating the release of their new California Toolkit: Improving the Health Care Response to Venous Thromboembolism in Pregnancy. THE SHANE FOUNDATION is expressly named as providing the patient advocate member of the Task Force, which developed this groundbreaking document designed to improve the prevention and treatment of blood clots in pregnancy. THE SHANE FOUNDATION is funding a research project at Hadassah Medical Organization in Jerusalem, Preeclampsia as a Multistep Disorder: A combination of first Pregnancy and Thrombophilia Risk Factors. The project, which is a collaboration between the Hoffman Center for Placental Research and the Lautenberg Center for Immunology will seek to detect factors leading to placental malfunctions and thrombic events in the development of preeclampsia. In lay terms: blood clotting factors are underlying to the development of preeclampsia which is a leading cause of maternal deaths. Published results from this project are anticipated for late 2018. The Shane Foundation was honored by an invitation to become a member organization of the Coalition for Women's Health Equity which advocates for policies of gender equality in medicine, research and quality of care. On May 15, 2018, the Coalition convened a "Women's Health Empowerment Summit" in Washington DC. THE SHANE FOUNDATION was invited to send a representative to the ACOG Women's Health Care Physicians annual meeting, April 29, 2018 in Austin, Texas. THE SHANE FOUNDATION continues core programs including production and distribution of patient education materials and participation in events that allow us to address the medical community throughout the United States.